A lot of people like the word cheap, or more importantly the perception of getting a great deal. But more often than not, cheap means cheap. With business cards this is one area I feel very strongly about and with good reason. Iâ€™ve said it time and time again, a business card is a silent salesperson, a marketing person and a receptionist all wrapped up in one little bit of card. It is probably the most important bit of paper you as a business person can carry with you at any one time. Iâ€™m pretty fanatical about business cards and while you don't think you carry this same burden around with you. 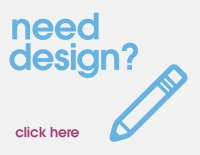 You do and when you receive a cheap business card, youâ€™ll remember this blog post. The sample of business card above is one I was given by a garden maintenance company. They spray your lawn with grow hormone or something like that. Iâ€™m not 100% about the actual benefits of the service, but thats a different blog post altogether. However, the service isn't one that happens on a daily or even weekly basis, but rather one that is required on quarterly with the change in seasons. Now I was tidying out a drawer and I found this weathered card and it got me to thinkingâ€¦a horrible sign as always. 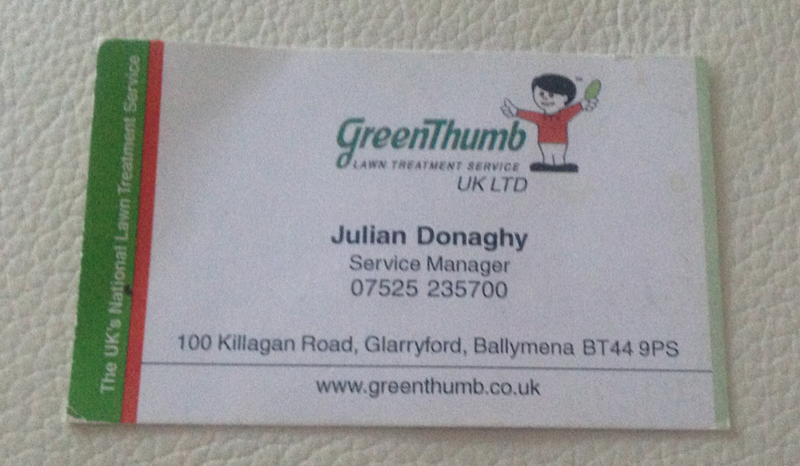 We last used this service 3 months ago, a business card was handed over, it was placed in the drawer for safe keeping and last week it was lifted from the drawer to follow up on the next garden maintenance. The card looks raggedy, it looks dog eared and generally dirty. I know for a fact that the drawer it was stored in is rarely used, so with minimal abuse, the card has become less than perfect. If I struggled to remember the person, the service or the company from the card and this was my only reminder of the service, would it give me a good impression? Probably not and if I was handed a card of a similar company and it retained most of its good looks and charm due to being laminated or just generally a better quality finish, would I be more inclined to use their service? Possibly. There is always a case for cheap business cards and Iâ€™ll be the first to admit this. But if you are providing a service, a product of a certain value, or if you don't necessarily se your customers on a regular basis, anything you can do to preserve the good name of your business will most likely be of benefit and more a measly 3p extra per cardâ€¦.